MARICI comes from Sanskrit’s word which means “Ray of Light”. Marici & Milli Collection is going to bring Indonesian Heritage to the world through ethnic, modern, and sophisticated fashion accessories products. Indonesian Batik, Songket, Tenun enriched with precious stones, pearls, beads, woods, metals are Marici’s product signature. Then, Marici`s logo is designed to represent mission of this gallery, to bring Indonesian heritage pride to the highest level of beauty, elegance, exotic, and sophisticate. The form of Wayang`s gunungan is Marici`s logo represent Indonesian heritage. The M in the middle stands for Marici`s logo also represent a tiara, a pride for appreciating cultural heritage. Nine Peacock Feather on top of the tiara is represent beauty at the highest level. The black and white color represent simplicity and elegance in the design. Marici & Milli Collection is interested to make a gallery that provide not only jewelries made by hand and wrapped with love but also leather wallet and woven handbag for woman’s accessory. 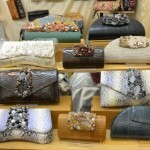 All collections both of jewelry, leather wallet, and woven handbag are kinds of original art from Indonesia. Combined with premium cow leather and semi precious gemstone, the collection of wallet in Marici & Milli Collection can add elegance to those beautiful ladies. All wallet products are made from selected leather and made by skilled craftsman. 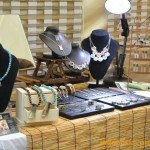 The woven bags and jewelry are in international quality, so you will satisfied with the products. 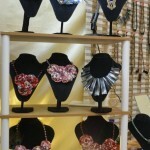 All products of jewelries and accessories are handmade, such as; bracelets, necklaces, brooch, earrings, rings and many more with value of Indonesian Heritage to the world. Mission of Marici & Milli Collection is bringing Indonesian heritage pride to the highest level of beauty, elegance, exotic and sophisticate.